Check if you are using any Chinese android apps? Chinese android apps may be stealing your data and taking out in their country. It can be general data or very important information. If you are working in govt organisation then you may be carrying data of other Indians as well. Helo are few very famous video sharing app become famous in India. A Browser UC Browser also became famous due to Chinese mobile pushing it. List of Top Chinese Android App. 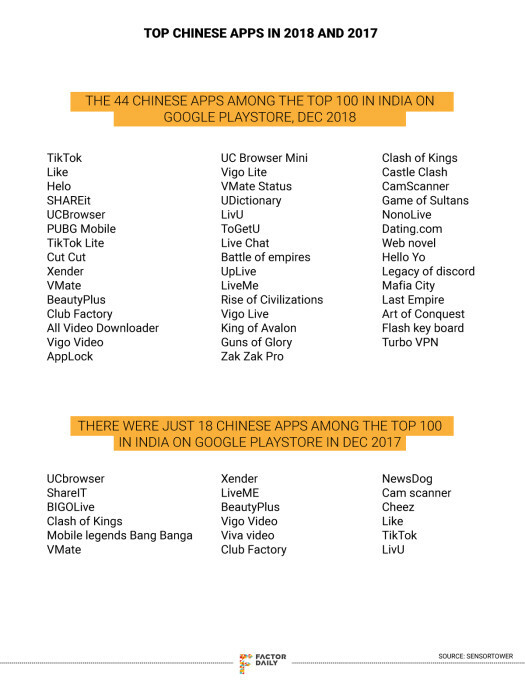 44 Chinese apps among 100 famous apps in India.